Our philosophy has always involved a patient-centered educational approach to eye care. Our Board Certified Ophthalmic Physicians and Ophthalmologists have at their disposal a state of the art clinics that encompasses the latest advancements in eye care technology. 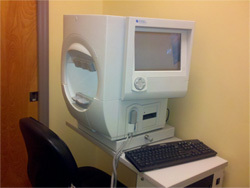 Lange Eye Institute constantly invests and upgrades to the latest in medical, surgical, optical and nutritional eye care. Our spacious facilities feature specialty procedure and examination rooms dedicated to specialty contact lens fittings, low vision, pediatric eye care, handicapped, primary eye care , dry eye, glaucoma, macular degeneration and laser and minor surgery rooms. Our Doctors specialize in eye care for all ages from pediatric to geriatric. 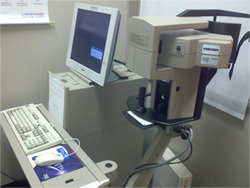 One reason our patients come to us is we use ophthalmic technicians for preliminary testing only. 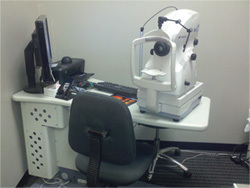 Our Doctors spend the time necessary to reach the most accurate prescription for spectacles and or contact lenses. Our Doctors also go over all treatment options available for each diagnosis the patient has including optical, medical, surgical and nutritional intervention. 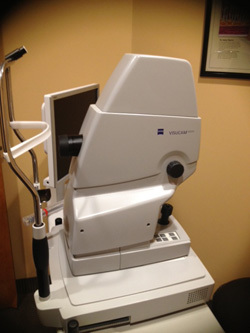 All Lange Eye Care centers are constantly updated with new technology as it is available. Dr Michael Lange and his associates utilize the latest in natural eye care to help slow down degenerative eye problems and reduce the need for medication and surgery. The Lange Eye Institute will utilize a combination of natural eye care , medical, surgical and optical to obtain the best results possible for their patients. 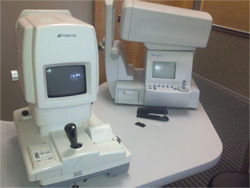 Our diagnostic technology machines include the OCT Retinal Imaging System, anterior oct imaging, meibomian gland imaging, ORB Scan Corneal System, Zeiss Auto Refractive System , Non Contact Tonometer, Zeiss Humphrey Visual Field Machine , Zeiss Visucam Floreceine Anglogram Plus Auto Florecence, Diopsys ERG and VEP technology, Optomap Daytonas, pachemetry , B scan and Ascan ultrasound technology, Zeiss IOL master, Zeiss Corneal topography and endothelail cell counting technology and Annidis RHA. The ophthalmologists at Lange Eye Care have years of experience and have done thousands of surgical procedures ensuring the patient will get the best outcome possible. When considering surgical intervention for your eyes experience counts! Lange Eye Institute has some of the most experienced eye surgeons in the country so if you are considering Cataract surgery, LASIK surgery, retina surgery or some form of Oculoplastic procedures Lange Eye Institute has a surgeons specialized in that particular area. Stem cell enhanced amniotic membrane tretament for corneal disorders. Our Ophthalmologists specialize in : Advanced cataract surgery, oculoplastic surgery, glaucoma surgery , retinal surgery and corneal surgery.